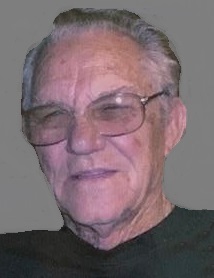 Bobby Lee New died March 19, 2019 in Purcell, Oklahoma at the age of 84 years 3 months 6 days. Funeral Services are scheduled for 3:00 PM, Saturday, March 23, 2019 at Wadley’s Funeral Chapel. Interment will follow at Hillside Cemetery, entrusted to the care of Wadley’s Funeral Service. Bobby was born December 13, 1934 in Byars, Oklahoma to Pauline New. He was raised in the Byars/Rosedale area. Bobby worked in the cotton fields from a young age. He met Elsie Bloom in San Diego, California. They were married on June 24, 1955 in Yuma, Arizona. On February 7, 1956 he was inducted into the United States Navy. He proudly served his country earning different awards and decorations. Bobby was honorably discharged on November 13, 1961. He re-enlisted, serving until December 10, 1963. Bobby enjoyed working on cars, going camping, boating, racing cars, and raising horses. Bobby is preceded in death by his mother, Pauline New; daughter, Deborah Wheeler; brothers, Thurman and Melvin. Survivors include his wife, Elsie New; sons, James New and wife, Brenda, Jeff New; grandchildren, Amanda, Sarah, James and Mary; great grandchildren, Ethan, Jaiden, Andrew, Aurora, and Auraya; siblings, Alice McKelvain, Murlene Faulkenberry, Betty Tate, Benny Short, Larry Short; and many other relatives and friends.